Well folks...this was officially the most popular giveaway on this blog EVER. I guess we are all ready to hop over to France for an idyllic vacation, and who can blame us? And even if everyone can't win a free week, you can still enjoy La Maisonnette this Fall/Winter/Spring for the same price as a Holiday Inn Express for a week. Not too shabby for the chance to hunt for truffles with the former personal chef of France (who by chance uses Napoleonic maps to scour her 30 acre property for these delicious treasures); or to stroll the cobblestone streets all bundled up in the crisp air. You may be interested to know that our cooler-month-guests have nothing but great things to say about staying in Beynac at this time. And since the price is right, I hope we see more of you! Congratulations Tate Family! Please contact me at stephmodo@gmail.com to start planning your lovely vacation! Thank you all for participating and for your comments. I appreciate them immensely! Just one year ago we completed the renovation of La Maisonnette du Coteau (see top right). However, in many respects it feels like forever ago. I guess major life changes--like having a baby, moving, and a new job--kinda do that to you. 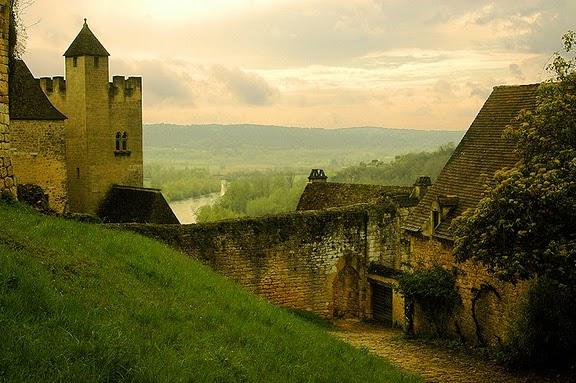 It seems like we are inadvertently making it more and more difficult to get ourselves back to the beautiful village of Beynac, which we love so much. This time of year I yearn to don my winter coat and scarf, and walk the quiet, cobblestone paths through Beynac before heading back to the cottage for hot chocolate by the warm fire. A crisp bike ride or hike through the countryside might be fun too, or perhaps a jaunt through the local market trolling for fresh truffles to bring back to La Maisonnette and cook on the gorgeous La Canche. Oh, and how can we forget that tub--the one that overlooks the lazy Dordogne river and the surrounding valley. Now that sounds cozy, doesn't it? Don't even get me started on the thought of being there for Thanksgiving, Christmas, or for Les Soldes (one of two times per year there are sales in France). I hope I've lured you into my La Maisonnette spell because I'd like to offer you something very special--a week at La Maisonnette for you and a guest! Why, you ask? Well, this year has been eventful to say the least, but you've been so supportive through it all. I've appreciated the emails and the comments so very much...more than you'll know! In addition, you've generated publicity about La Maisonnette for which we are grateful; and those of you who stayed at La Maisonnette took darn good care of this sweet place, and that means the world to us. Since we have a bit of vacancy during the cooler months, we are in a position to offer a free week during November or February (think: Valentine's Day!). Picture yourself in southern France, enjoying this unique time of year and all the Perigord Noir has to offer. If you want to add to the moment, you can complete a refresher on La Maisonnette right here. Excited?!! I hope so. I'm excited FOR you. Bonne chance dear readers! p.s. Before leaving a comment, and therefore entering yourself officially into this giveaway, please read the guidelines below as they are specific to this giveaway. Merci! - You have 6 days to enter this giveaway (closes Monday, October 18th at midnight). - The winner will be chosen via random.org and announced on Tuesday, October 19th at the top of this post. - The prize is non-transferable. Please enter for you and not someone else. - The free week is only good during the following weeks: November 19-26; November 26-Dec 3; February 4-11; or February 11-18. Please make absolutely sure you'll be able to get over to France during one of these weeks before entering the giveaway. - Winners, please respond within 48 hours of the announcement to secure your romantic getaway for 2 (!!). Again, I'm so excited for you all! Thank you for everything you've done for this blog (and for me), and I wish you the best of luck in winning this fantastic giveaway. Wow! Looks magical. Life is but a dream. What an amazingly generous giveaway. My heart is literally beating faster at the prospect of a romantic getaway with my husband...we are 4.5 years overdue. Going away alone, sans kiddos, has been on my list of things to do, my big life list, since January. Count me in! What a romantic Valentine's Day getaway that would be. Yes please! This would be the perfect babymoon we've been wanting so much to go on! We wanted to go in May but you were booked! Wow! It looks sooo beautiful there. I would love to take a little trip with my hubby. What a generous giveaway! um, yes please! thanks for this chance to win this amazing giveaway! We live in Paris so easy getaway for us! Hi Steph! I just wanted to say that I've been dreaming about La Maisonnette since its opening. I stumbled on your blog just over a year ago, and have been following religiously since! I just have to say that your possitivity, creativity and overall adorable-ness have put a smile on my face many a time. Thank you for all that you do, and this amazing chance! Dreamy!! This is all I have ever wanted! Oh my goodness! My husband and I would LOVE to go! What an amazingly generous giveaway. WOW WOW WOW!!! I watched your renovation project enviously from abroad and have dreamed of renting your beautiful cottage one day. Oh I would love it!! It looks so beautiful! Hello, week in France?! Count me in! I have been dreaming about this place since I first saw it on your blog. Oh please, please pick me. One of the weeks covers my birthday-I can't think of anything more amazing. What a generous giveaway! um i think i will pack my bags and leave them by the door just in case! Ooh-la-la! All of these weeks work for me (and correspond with occasions I simply MUST celebrate at La Maisonnette, i.e., my wedding anniversary, my favorite time of year, my birthday, and my grandmother's birthday!) Fingers, toes, eyes, and knees crossed! Wow! This would be so great! how generous! what an amazing getaway this would be! Wow! What more can be said. This would be perfect! Our anniversary is in January, but for this we could postpone a bit :) Thanks for all you share with everyone! This is SO so generous. After a stressful year for my husband and me, a break in your beautiful French home sounds wonderful! Wow opportunity of a lifetime. How generous! I would love to win this:) I've never been to France what a way to experience it. Oui Oui!! You are going to make someone very happy........here's to hoping it's me!! Thanks for this wonderful opportunity. I have been following your blog for a year now and have really enjoyed your posts. Thanks. Love it! My husband and I keep talking about how we need to book your house for an upcoming vacation. Ahhhh! I had to read this post TWICE because I couldn't believe the give-a-way! Fingers, toes, eyeballs all crossed for luck!!! I can't think of a more ideal way to see Europe for the first time! I'd LOVE to visit France, and I can't imagine a better location! Holy cow. This is amazing. Consider me entered! i could totally make any or all of those dates happen. thank you, stephanie! how generous of your family to give away a week! Oh my! This is the greatest giveaway I've ever seen! The photos of this place make me swoon...I'd love to see it in person! Wow, this is amazingly generous. I would LOVE to go in February!! This looks like a fairy tale! I can already smell the crisp air and hot chocolate! Hope you and your family get back soon! My husband and I honeymooned in Paris and each time we go back, we like to explore a different town outside of Paris...La Maisonnette has been calling my name ever since you posted about it. Holy amazing! I would love, love, love to win this. What an excuse to take the grandparents up on their babysitting offer! omg, this is the most beautiful giveaway ever! The perfect anniversary gift for my amazing husband!!!! Fingers crossed. Are you kidding me?! This is my DREAM vacation! Thanks for the chance! Yes please! I need a vacation! My husband and I would LOVE to spend our first year anniversary there! Thanks for such a fantastic giveaway!!! Ooh, ooh, ooh! Pick me! Pick me! The perfect place to celebrate our 8th anniversary. Wow, it has been a DREAM of mine to visit France. My husband of 37 years would be beyond excited as well! absolutely amazing! I'd love to Go! Why not? Thanks for the opportunity! What an amazing giveaway! You've got some good karma coming your way! Oh - the honeymoon we never had! What a dream come true that would be! France for my birthday? Yes, please! Oui, oui! Moi, s'il vous plait! Merci! My daughter introduced me to the site when you were renovating your wonderful French Home! It looks gorgeous! I hope I win! Thank you for the opportunity! Husband just graduated and we've been trying to decide how to celebrate. I think we just figured it out. Fingers crossed! Sounds fun. This is my comment.... yup. How amazing....what a great idea to do this giveaway...incredible generous! Yes please steph! You have done such an amazing job on your magical home there ... I would love to experience it in person. ps Banana bread recipe was awesome!! Only memories remain! What a great and generous gift! My husband and I would love this! What perfect timing! omg this is way too good to be true! I miss France and have been following your amazing restoration project. If my husband and I don't win this giveaway, we will surely be paying guests someday :) Thank you, Steph! Your post is like my morning coffee. I would love to visit La Maisonnette! I would love to win this prize!!!! Please pick me! Absolutely gorgeous, and your description makes it feel so close. My sweetheart and I would be more than delighted to go. Wow! Dream come true for sure! what an incredible gift! I cannot imagine a better trip. uh oh, women are going to be walking around dreamy eyed all week, imagining themselves in Beynac. Would LOVE to go back to France!!! I'll be leaving on my mission next year and would love a good vacation before I go. Who knows, maybe I'll be called to France!!! I've been dying to go since I first started reading your site! We have some frequent flier miles itching to be used. Hoping with fingers crossed! I would love to go and take my wife! What an amazing 6 year anniversary present that would make! I have become completely enchanted by La Maisonnette and can't think of a better place to sneak off to with my hubby. Thank you so much for the opportunity! I'm needing to brush up on my French! Doesn't hurt to bursh up at a fairytale villa. Sign me up! How fun! I'm keeping my fingers crossed. Mon Dieu! This sounds absolutely wonderful. Sign me up! How my goodness - how generous of you! I will keep my fingers & toes crossed. Even though I live in England, I never seem to make it across the Channel to France and would L.O.V.E the opportunity to go to your gorgeous house. Good luck to everyone. This has to be the most fantastic giveaway I have ever seen in blogland, so generous of you. I'm pretty sure this would be a year maker for the lucky one, I know it would be for me! How wonderful! Winning would be a terrific excuse to vacation. Thank you for the possibility! Can't imagine a more lovely getaway! oh la la - pick me, sil vous plait! the feb 2-11 is over my 33rd birthday, so how perfect would that be?! here's hoping! I can't even explain what an adventure this would be for my husband and I! Neither of us have ever left the country!! Next year marks our 10 year anniversary. I would LOVE to celebrate in France with my sweethearts (sans 4 kids). Thanks for hosting this giveaway! I check your blog every single day, Stephmodo. So of course I saw your posts on the restoration of La Maisonnette and have dreamed of going there ever since. Since I live in Germany it would only be a hop, skip, and a jump away and my husband and I are certainly overdue for a couple getaway. Bonne chance everybody! What a great giveaway. The winner may never want to come home! this is the best giveaway that i've ever seen on a blog!! So gorgeous...what a generous offer! My wife and I would be in heaven!! How incredibly generous of you to offer a once in a lifetime opportunity. Thank you for all you do! Here's to dreaming!! This woudld make the perfect valentine's getaway!! Beautiful! Wow what a generous giveaway. I have looked at the pictures online of La Maisonnette a million times. It would be a dream to go there. Come on Random.com!!! I'm your girl!!! If ever the random number picker where to pick me I hope it will be this time. Please oh please. I went to France for this first time this past year for my 50th birthday. I went to Paris with my daughter. My sweet husband gave the is to me for my birthday. I would love to take him back to France for a romantic getaway! i already have butterflies! 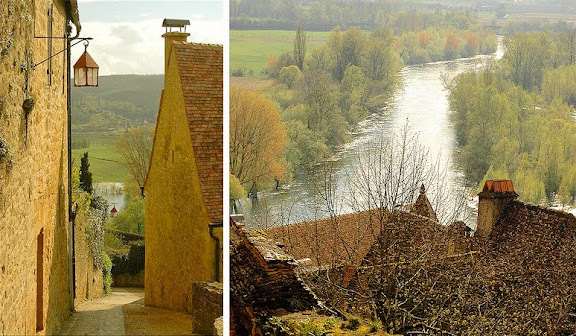 i would die to visit france, my husband's mission stomping grounds, before we have a baby this spring. ahh. already dreaming. wow- what a fun giveaway- in fact if we don't win- we may just have to check out the reservation calendar. fyi- we share many common friends and I'm sure we've met before, I've just never introduced myself on your blog- so hello! This is a beautiful site. My husband and I would take good care of your beautiful place. Fingers crossed that the random stars align. Wow! I moved back from France 7 years ago and haven't had the chance to get back. I would love to go! I would love to stay in your cottage with my husband. I have been dreaming to go to France for years, but never had the opportunity or should I say money? :) I hope lady luck is on my side. What a generous giveaway! My husband and I wanted to rent your place in September for our 10th anniversary, but it was not available on the dates we needed. To win this would literally be a dream come true! I am beyond excited! I can't even tell you what this would mean to me and my hubby, it's official - we haven't spent any vacation time together since our first child was born 5 years ago!! !, yeah, we would die to have an opportunity like this. Thank you for an amazing blog!!! Wow! You and your husband are so kind and generous. Somehow, I feel guilty for leaving a comment because I haven't commented before. Thanks for the opportunity and good luck with your move by the way. We love Seattle....the West Coast has a special spot in our hearts. We lived on the west coast for 4 years. We moved east a year ago and still miss it dreadfully! How fun! The best giveaway ever. Thank you! What a sweet, kind thing to do. It's got me thinking of ways to show more gratitude today. Also, my fingers are totally crossed. oh my! what an amazing giveaway! Your blog is too wonderful! How generous of you! Merci! This is probably the most beautiful place I have EVER seen. I suddenly feel like fairy tales are real! Good golly. This is amazing! I've read your blog consistenly for the past year and I love it! Thanks for all the great ideas! What a magical experience this could be! I would love it!! Looks lovely!! What a generous offer to your readers. Merci! Yes yes please!! Or maybe I should say Oui oui s'il vous plait! After reading the comments left - I can't say I deserve such a great giveaway, but I would most definitely be grateful for it (so much). My husband would be thrilled at even the prospect of winning (served his mission there and is getting his Ph.D. in French literature). Thanks for offering such a generous gift. Random.org - pick me! Magical! I would love to go to France! Merci for this amazing chance for a romantic getaway! Who needs a refresher course on La Maisonnette? I think those photos are permanently etched in my memory and I have reminded my husband a few times we ARE going there. We would LOVE this getaway! What an amazing giveaway. The perfect way to escape the grey UK winter! This is amazing. Hope hope hope hope! Wow what an awesome giveaway!! We would love love to stay there!! It's beautiful!! France at last....hope It's me and my love. Um, wow! I can't even imagine staying in such a beautiful place. I still want to go but with hubby this time! I think I am deserving of going although the winner will be determined by random. I orchestrated a girls' trip here in April and only two of the five of us made it over the pond because of the volcano erupting. My friends who made it had a fabulous time and I hope to get there in time and do all the fun things I planned. best giveaway ever. what a dream it would be to win! These photos struck me as exactly what I'm hungry for right now. I would love to go! This is so generous of you! Totally a dream vacation. ahhh...how serendipitous...i've bookmarked this as a future vacation rental...this would be a dream. i need a dream about now. Oh Stephanie! After a long, challenging year, my husband and I have recently committed to making one of our dearest-held dreams come true this year and finally (finally!) visit France together. To spend a week at La Maisonnette would be more than we ever could have hoped for. And the timing of the weeks? Impeccable! Thank you for the chance to win such a remarkable and generous gift. Goodness gracious, I LOVE this giveaway!! I need this bad! It would be such a lovely treat! This would be beyond fabulous! My fingers are crossed. I can't believe that there are only 185 comments to date! So here I am, 186th. Going to France is a lifetime dream. Thank you for giving me a chance. Oh, I would love to win this! It looks beautiful...and perfect for our 20th anniversary which is coming up. Holy cow! Both of our birthdays are in February. What a lovely treat that would be. My dream! I watched as you step by step renovated the adorable place...to stay there would be fantastic! I would love to visit that part of France and see your lovely home!! You've done such a great job and I've loved following the process. Wow, this is amazingly generous! Hope I get lucky! man, this would be a dream come true! Wow, I can't believe your generous offer. Thanks for letting us all daydream about it. I've never been abroad and this would be quite a way to start! Thanks for this wonderful giveaway! Crossing my fingers! DREAMY! What a perfect giveaway. This would hands down be the best 10 year Anniversary gift we could get!